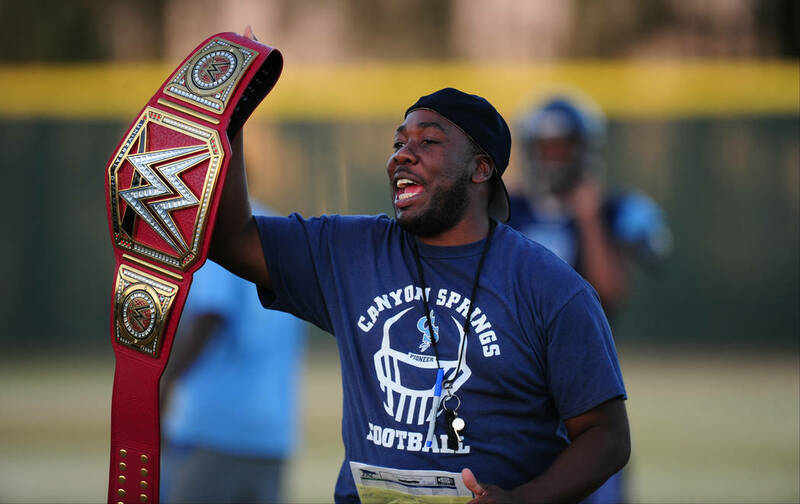 Canyon Springs and Basic say they’ve moved on from the Sept. 15 game that ended in pepper spray, and are ready for the playoff rematch Friday night. 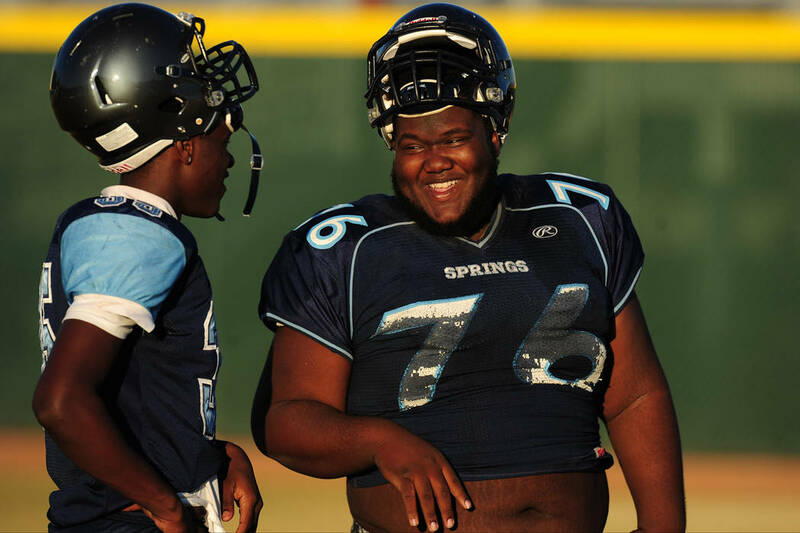 Canyon Springs senior offensive lineman Shaun Greene wanted to play Basic again. He does not want the rematch to include more personal foul penalties, more unsportsmanlike conducts, more ejections and more pepper spray. “(Our season) could have been over,” Greene said. The Pioneers (5-4) are set to host the Wolves (3-6) at 7 p.m. Friday in the first round of the Sunset Regional playoffs — a rematch of the Sept. 15 game at Basic that featured more than 30 penalties, four ejections and a postgame brawl Clark County School District police officers broke up with pepper spray. NIAA assistant director Donnie Nelson told the Review-Journal that CCSD police requested the right to commission an additional officer to work the game. 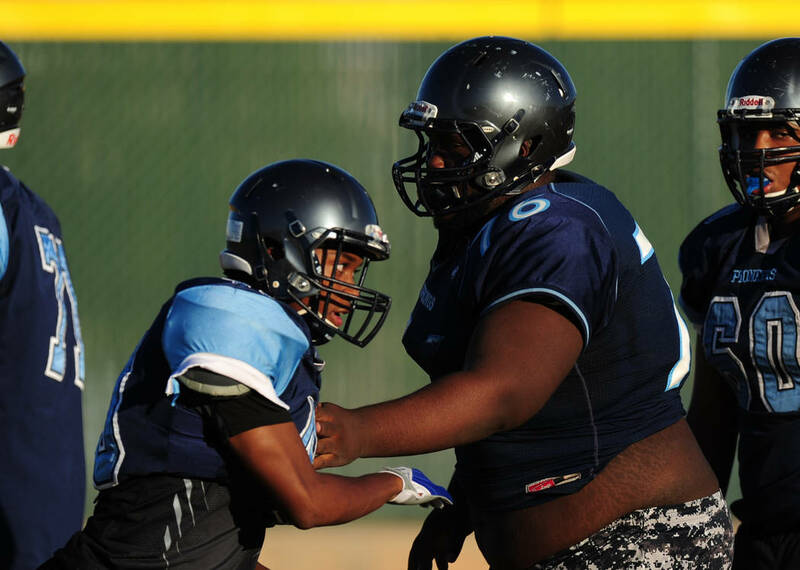 The NIAA approved, and a sergeant will be at Canyon Springs. Canyon Springs and Basic were each assigned a double-forfeit for that game and an additional forfeit the following week. But Pioneers coach Gus McNair and Wolves coach Jeff Cahill both say their teams have learned from the altercation, and neither is expecting issues Friday night. And so is Canyon Springs. 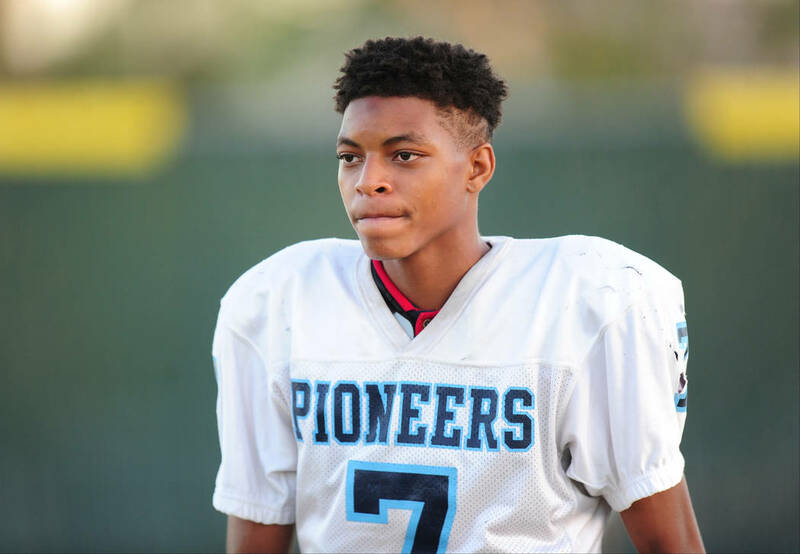 McNair said his players and coaches received hate mail after the incident, and added that opponents have tried to goad the Pioneers into penalties and mental errors. 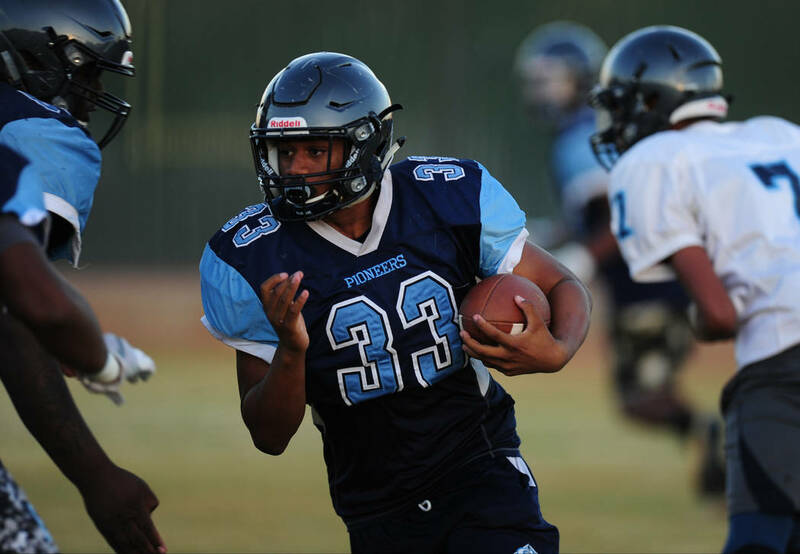 But their efforts, for the most part, have been unsuccessful, and Canyon Springs worked to redefine its season by blowing out all four of its Northwest League foes en route to the conference’s top seed. 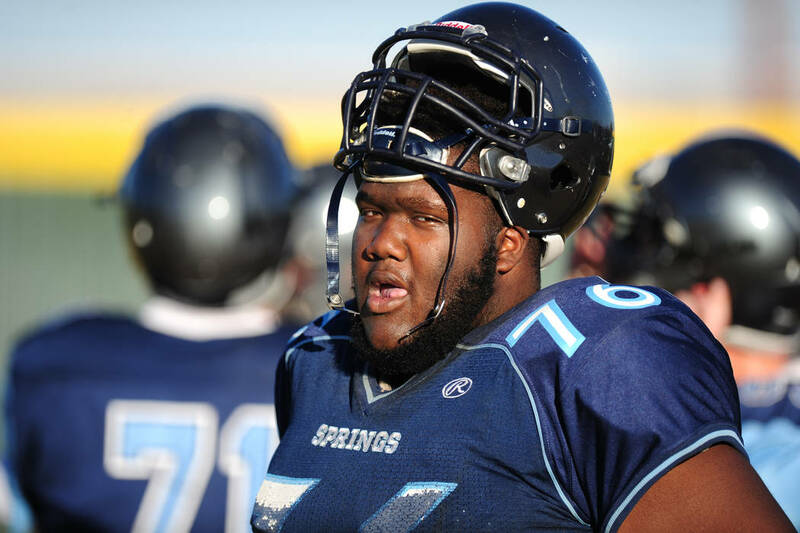 Canyon Springs’ regular-season dominance ensured a collision course with Basic, which lost its last three regular-season games to wind up as the Southeast League’s No. 4 seed. But Cahill, too, is confident about his team’s chances in the playoffs, and suggested Basic is a much better team than it was in September. Greene, who was ejected in the first meeting, said Canyon Springs is eager to prove itself as the better team — fair and square. After all, the Pioneers did win the first matchup 20-15, and it wasn’t that close.